At Leftclick, We Believe People are our Most Important Asset. 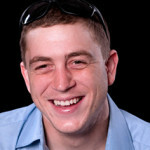 An energetic & service driven individual who is passionate about the IT industry, Dax is one of the co-founders of Leftclick and after being involved in the IT industry for a number of years and having built and run multiple successful businesses, turned his primary focus to growing Leftclick. Having started out his IT career getting his hands dirty in the technical trenches for many years , he has a fantastic understanding of both the business aspect of a company and what goes on in the technical background to keep the proverbial cogs turning. He is happiest when involved in client relations, managing business partners and exploring new technologies and revenue streams. Dax has a very positive energy and can’t do simply doesn’t exist in his vocabulary. He’s a true Jack of all trades, in his spare time he gets his hands dirty with his passion for vintage cars, bikes and anything else that gets the heart racing. At the heart of every business there is at least one cool, calm collected and extremely clever guy. Julian is not only our financial brain, but he’s got a rare ability to problem solve pretty much anything that is out there. He is a co-founder of Leftclick after he set up a successful business in the hosting sector shortly after his degree. He contributes vastly to the core of the business on all levels and ensures Leftclick is growing slowly but surely into one mean machine. 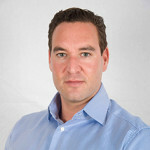 Julian is also extremely technical with extensive experience on server infrastructures and WAN networks, but his primary focus is Leftclick’s general business model. And when life gets a little too exciting for him and relaxation is needed, he calms himself by getting involved in the antiques trade (they just don’t make stuff like they used to). Wesley has been with Leftclick for a number of years and while we are constantly trying to solve the mystery behind his technical genius, we suspect he might be involved in a few NASA projects or perhaps running a few data centres in his spare time. We are yet to give Wesley a problem that he is not able to solve and during his first few months with Leftclick it very quickly became apparent that he was going to form a corner stone of our business model. Wesley has got an extensive track record of implementing and managing small, medium and large infrastructures. Having worked with leading brands, he’s been responsible for major disaster recovery, project planning, R&D, implementing, managing and advising on virtual infrastructures, firewall management, large migrations and implementation of core infrastructures. 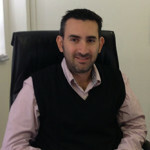 As our Technical Director he ensures that all our technical staff comply with industry standards. Andre is the glue that binds Leftclick, as Operations Director his methodical and logical approach to the role has led to the implementation of multiple integrated systems at Leftclick that have truly allowed for fluid process & procedure. Being from a technical background he has the know-how to understand complex technical challenges while being adept at finding solutions for our customers that ensure IT systems become easier & more efficient. Not afraid of getting his hands dirty, Andre is the first guy in the trenches with the technicians helping to ensure calm and logic prevails at all times – which has truly earned him the respect and admiration of his colleagues. With a work hard play hard mentality, boundless energy and winning attitude, this avid rock climber & mountaineer always ensures he walks away with the best dressed at staff socials. He also makes a mean frozen margarita while rocking a grass skirt & coconut bra ensemble at the year-end functions!